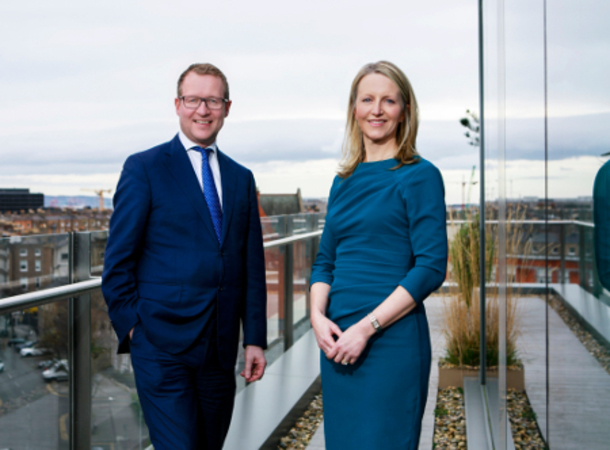 25th March 2019: The law firm Arthur Cox has chosen senior partner Orla O’Connor to be its next Chairperson. Ms O’Connor will take up the position on 1 May, succeeding Ciaran Bolger who is completing his six year term and will be returning to full time practice. Orla is the first woman to be appointed as Chairperson of the firm. Arthur Cox outgoing Chairperson Ciarán Bolger: "I am delighted that someone of Orla's calibre is taking over as Chairperson of this firm. Orla has been an outstanding partner in our Finance Group. Her appointment as Chair is an endorsement of her personal qualities and professional ability." Orla has worked on numerous financing and restructuring transactions both for banks and borrowers. Orla has been a member of the Firm’s Financial Regulatory Group and has advised on bank reorganisations and on a wide range of regulatory issues relating to payments, electronic money, anti-money laundering, mortgage arrears and consumer credit. She has also advised a range of banks, private equity firms and servicers expanding and restructuring their operations on regulatory, licensing and other legal issues and on their interactions with the Central Bank. She has advised on a wide range of bank asset disposals by both Irish and international banks operating in Ireland as part of their deleveraging strategies.